Hi guys! 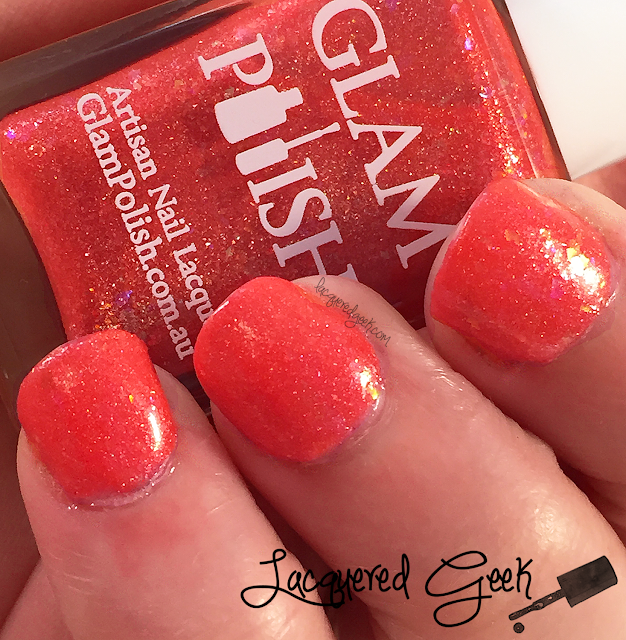 I've got a perfect summer polish for you today! Although, I tend to wear whatever color I want, regardless of the season... there is something about wearing a bright coral polish during the hot summer months. One of my new favorites is Hibiscus from Glam Polish. 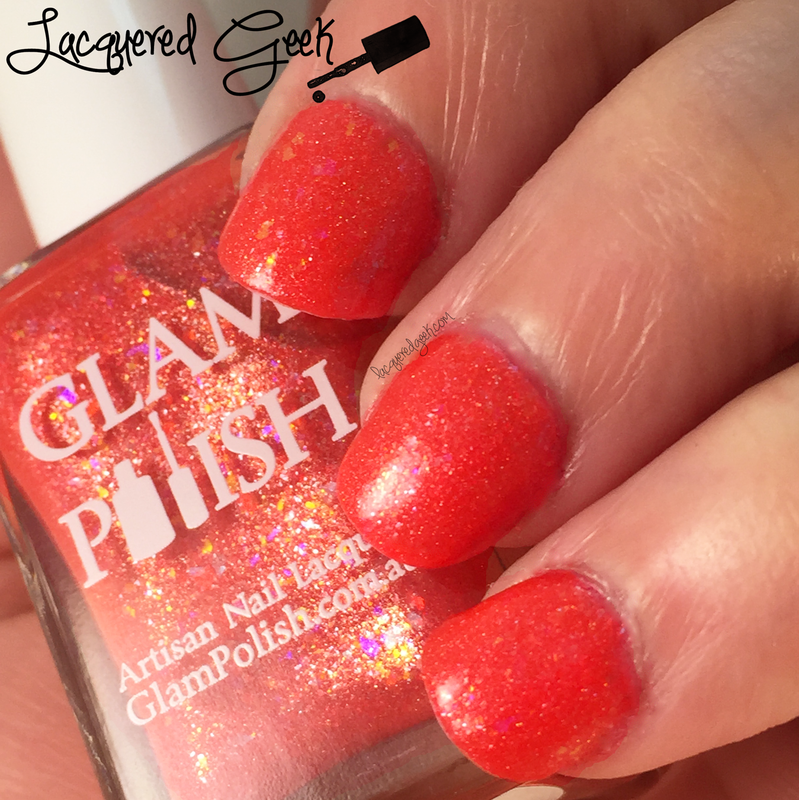 Hibiscus is a bright coral polish that has a holo base, along with iridescent flakies and red, peach, and gold glass flecks. It absolutely screams "SUMMER!!" The holo is very subtle, but those flakies ... they are brilliant addition to the polish. They make it so unique. And boy do they catch the light and sparkle. I had no issues with the formula. The only "issue" was that I learned that you need to be super careful around your cuticles because those flakies are stubborn and hard to clean up! 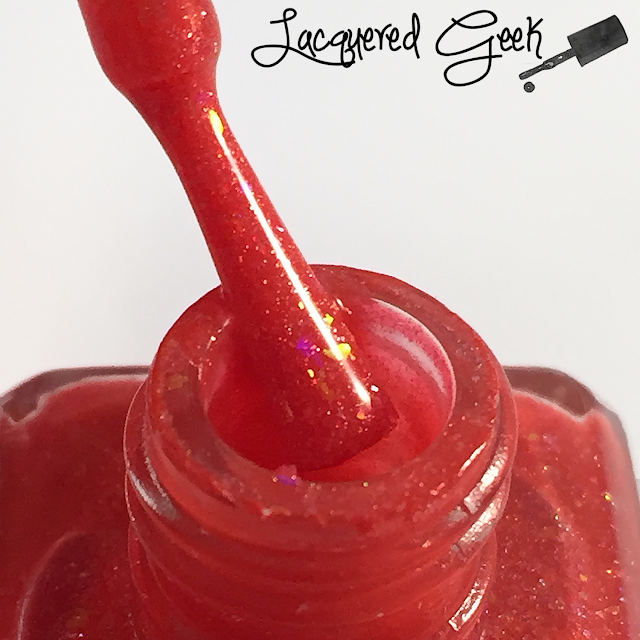 For these photos, I used 2 coats of Hibiscus and a topcoat. 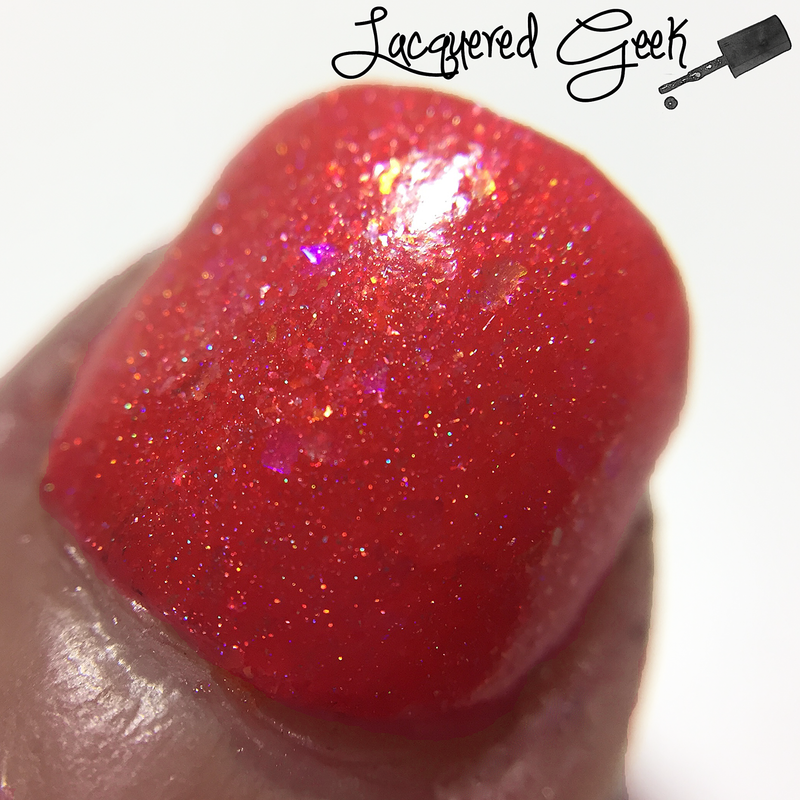 Look at these amazing flakies! I wasn't able to get a photo in sunlight. I tend to do my photographing early in the mornings or late at night. The best I can do is a daylight lamp. You can see the subtle holo though! Isn't Hibiscus stunning? It is available from the Glam Polish shop, and they offer shipping to the US. What is your favorite shade to wear during the summer? This is perfection in a bottle! flakes are so much trouble...but so worth it! 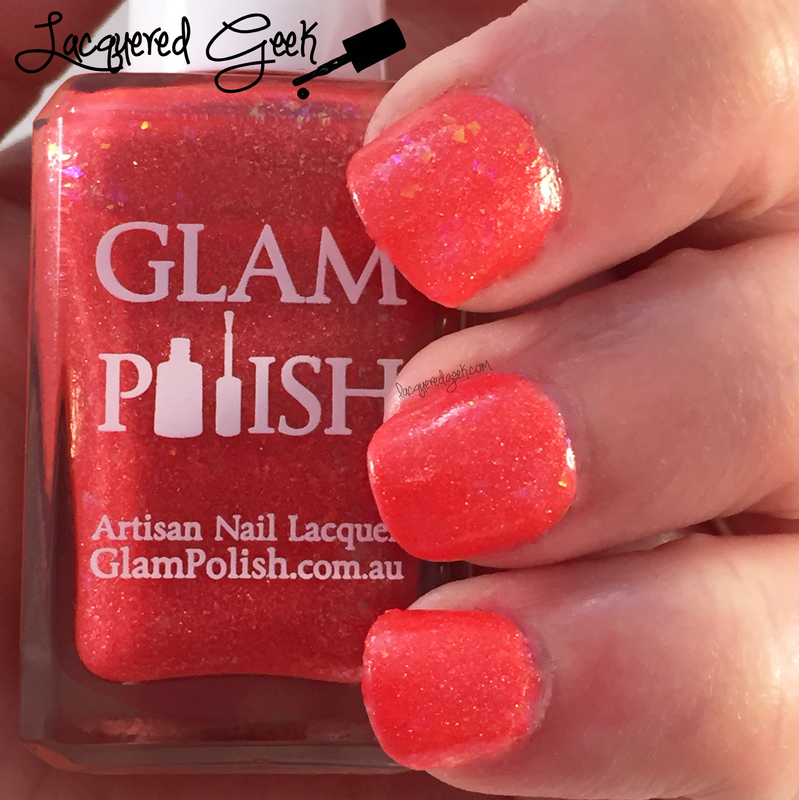 I'm not that big into flakies, but I will say the shade of this is so perfect. Oh what a pretty color!